The concept was created by Glanville, who had been making chocolate with his family since he was a child. He grew up in Southside Jamaica, Queens, the son of immigrants. His grandmother brought his mother to the United States from Jamaica in the 1970s and worked hard to provide for her family, teaching them skills that would be useful to them throughout life, one of which was making chocolate. They decided to launch a chocolate candy business. 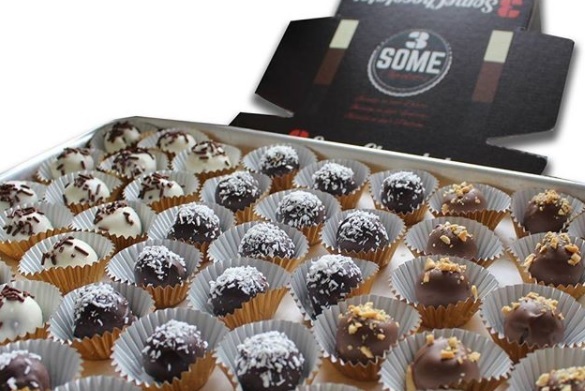 “We thought, wow, this is perfect, everyone loves chocolate and our brand name will be a great conversation piece. It’s also an icebreaker, a gift, a joke—it can be whatever you want it to be,” Glanville said. Ever since that moment, Glanville and Parker have been fulfilling people’s fantasies. The millennial couple leverages social media to market their brand. Their following has grown at an exponential rate and they have shipped their incredible chocolate all over the world. And they have plans to open a storefront in Manhattan soon. “This has been an amazing journey for us,” stated Parker, who is in charge of operations and finance at 3 Some Chocolates. She grew up on the Lower East Side of Manhattan and attended Georgia Institute of Technology in Atlanta. 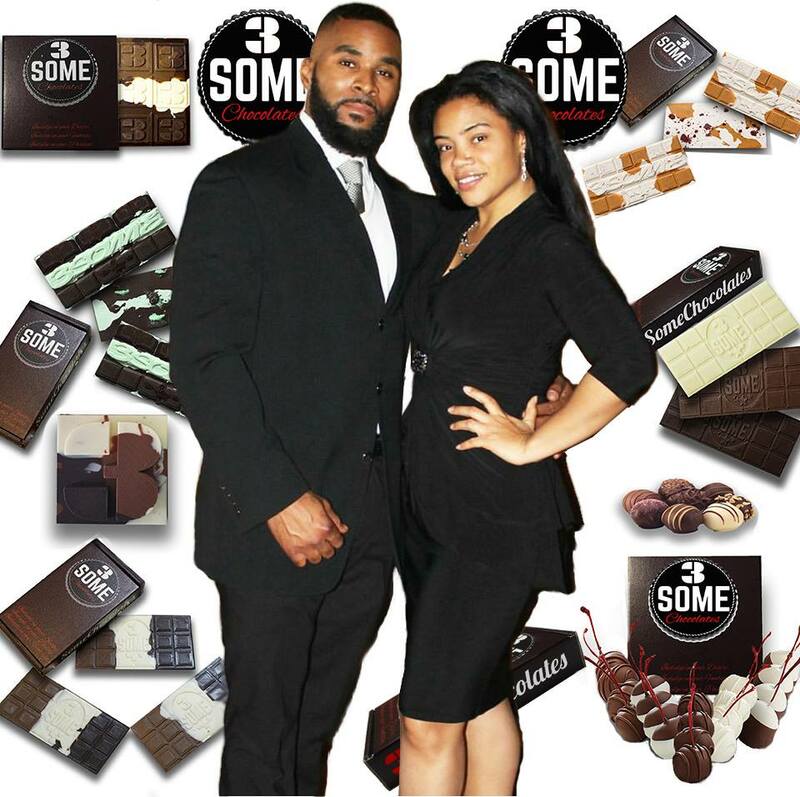 The chocolate bars are customizable online—you can have your 3 Some any way you want it. 3 Some Chocolates have specialty bars with unique recipes and flavors passed down to Glanville from his grandmother. One of their most popular items is their jerk truffles, where they combine just the right amount of spice with milk or dark chocolate. “Every day, Patrick and I work hard to inspire each other and stay focused on growing the brand and providing people with something they can be a part of. We love promoting our customers on our social media sites because if it wasn’t for them, we wouldn’t have been able to grow at this rate,” Parker said. 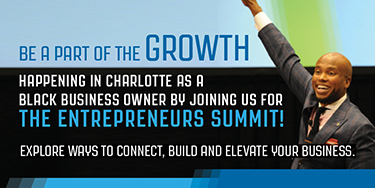 Dr. Dionne Mahaffey is an Atlanta based business-psychologist, author, technologist, entrepreneur, talk show host, professor and coach. 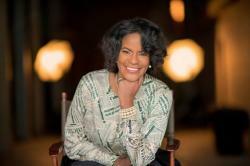 She specializes in personal growth, leadership and purposeful-coaching. As a serial volunteer and donor, she chartered the Atlanta Chapter of The Awesome Foundation for the Arts and Sciences as a means of supporting and funding the doers of good in the metro area. She is also the founder of the The WhereU app, a directory for black-owned businesses.